Herman Cornejo was born in Mercedes, San Luis, Argentina and began his ballet studies at the age of eight at the Instituto Superior de Arte at Teatro Colón, Buenos Aires. In 1995, when he was 14, he earned a scholarship from the School of American Ballet. Upon his return to Buenos Aires, he was invited to join Julio Bocca’s Ballet Argentino. At the age of 16, Cornejo was the Gold Medal winner of the VIII International Dance Competition in Moscow (1997), the youngest dancer ever in the history of the competition. He was then promoted to principal dancer with Ballet Argentino, alternating with Julio Bocca in all the main roles during the company’s worldwide tours. No. 1, the Jester in Ben Stevenson’s Cinderella, Franz in Coppélia, Conrad, Ali, Lankendem and Birbanto in Le Corsaire, Bryaxis in Daphnis and Chloe, It Was Spring in Dim Lustre, Basilio and the lead gypsy in Don Quixote, Puck in The Dream, the first sailor in Fancy Free, Colas and Alain in La Fille mal gardée, Ivan in Alexei Ratmansky’s Firebird, Peruvian in Gaîté Parisienne, Albrecht and the peasant pas de deux in Giselle, Le Grand Pas de Deux, Profiteer in The Green Table, The Man in HereAfter (Heaven), the Joker in Jeu de Cartes, Lescaut in Manon, the Lead Pontevedrian Dancer and the Maitre D’ in The Merry Widow, the Nutcracker-Prince and the Cavalier in Kevin McKenzie’s The Nutcracker, the Nutcracker-Prince in Alexei Ratmansky’s The Nutcracker, Cassio in Othello, Other Dances, Petrouchka in Petrouchka, the Piper in The Pied Piper, the Son in Prodigal Son, Abderakman and Bernard in Raymonda, Romeo and Mercutio in Romeo and Juliet, Sinatra Suite, Prince Désiré and the Bluebird in The Sleeping Beauty, the Rose in Le Spectre de la Rose, Prince Siegfried, Benno and the Neapolitan dance in Swan Lake, James and Gurn in La Sylphide, Aminta and Eros in Sylvia, the third movement in Symphony in C, Hortensio in The Taming of the Shrew, Tchaikovsky Pas de Deux, The Boy in Whipped Cream, leading roles in AfterEffect,Ballo della Regina, The Brahms-Haydn Variations, Brief Fling, Clear, Diversion of Angels, Mozartiana and Theme and Variations, and roles in Amazed in Burning Dreams, Baroque Game, Black Tuesday, Company B, Drink to Me Only With Thine Eyes, Gong, In the Upper Room, Jabula, Marimba, Overgrown Path, Petite Mort, Sinfonietta, and workwithinwork. 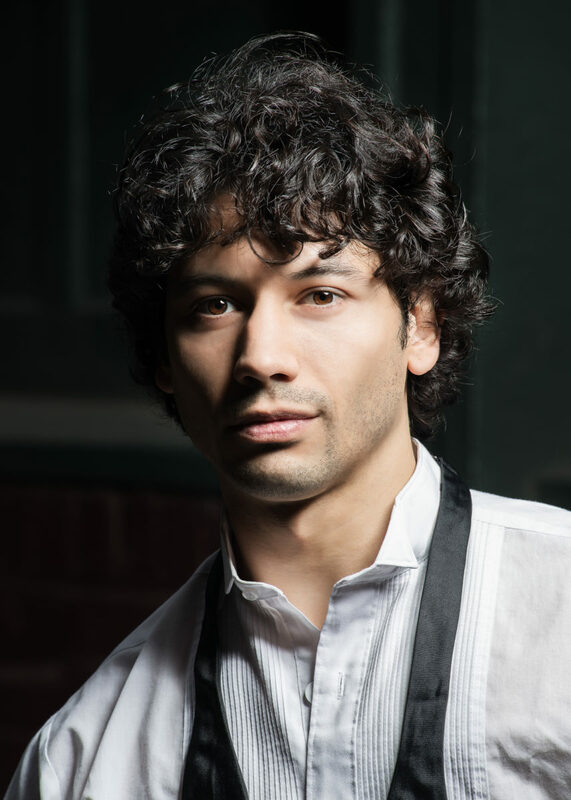 Cornejo created the role of Fortune in HereAfter, Rabbit in Rabbit and Rogue, Caliban in The Tempest, “I Dig Love” in Within You Without You: A Tribute to George Harrison and roles in AFTERITE, The Brahms/Haydn Variations, C. to C. (Close to Chuck), Concerto No. 1 for Piano and Orchestra, Glow – Stop, I Feel The Earth Move, Pretty Good Year, Serenade After Plato’s Symposium, Seven Sonatas and Symphony #9. Cornejo has performed as a guest artist with numerous companies around the world, including Ballet Estable del Teatro Colón, La Scala Ballet, Universal Ballet of Korea, National Ballet of Japan, Kremlin Ballet, Dortmund Ballett, New York City Ballet, Boston Ballet, Pennsylvania Ballet, Martha Graham Company, Ballet Hispánico, Ballet Contemporáneo de Cuba and Corella Ballet Castilla y León. He has participated in charity events for several organizations, including performing alongside Sting at The Rainforest Fund Benefit Concert at Carnegie Hall, and at events raising funds for medical research for cancer, Down syndrome and poliomyelitis. In 2012, he began an artistic collaboration with Alessandra Ferri, including the new productions Chéri, Evolution and Trio ConcertDance. In 2015, he acted as artistic director of the Latin American Stars Gala, part of BalletNOW at the Los Angeles Music Center. Cornejo has received multiple nominations, awards and distinctions. He has been named a Peace Messenger by UNESCO, Dancer of the Year by The New York Times and Latin Idol by Hispanic Magazine. He won the Star of the 21st Century international ballet competition in 2005 and the Mr. Expressivity prize at the Dance Open Festival in St Petersburg in 2010 and 2013. He received the Argentinian Pride Award from the Argentinian Culture Center (2013), The Bessie Award for Outstanding Performer (2013) and the Prix Benois de la Danse for Outstanding Male Dancer (2014). Mr. Cornejo’s performances with American Ballet Theatre are sponsored by Sheila Grant. Herman Cornejo in Seven Sonatas. 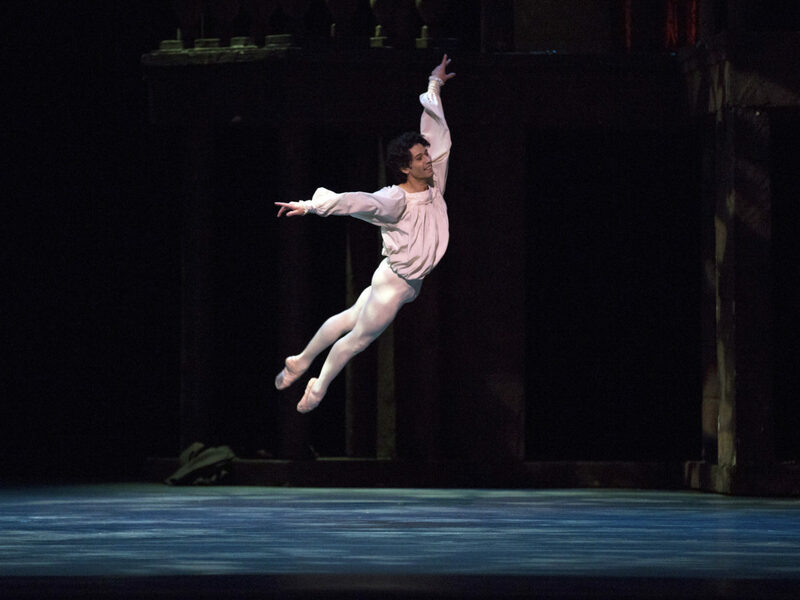 Herman Cornejo in Romeo and Juliet. 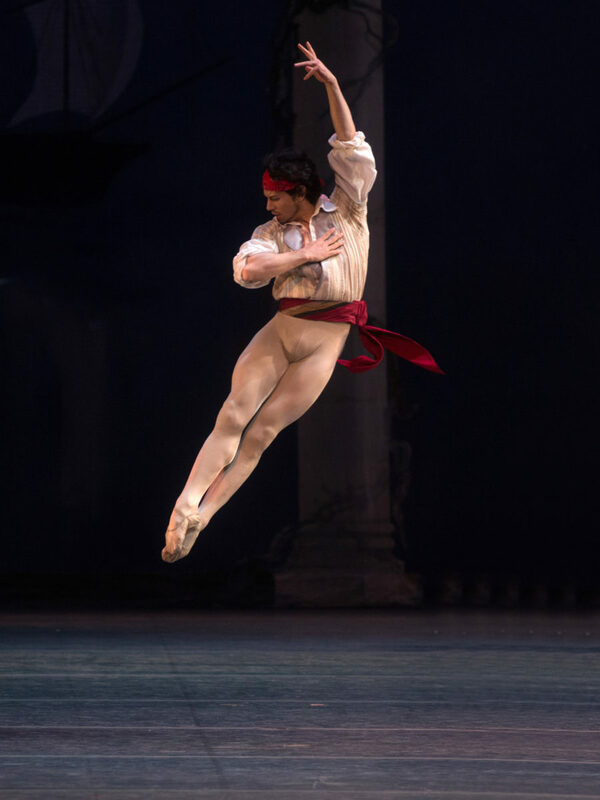 Herman Cornejo in Le Corsaire. Herman Cornejo in La Bayadère. 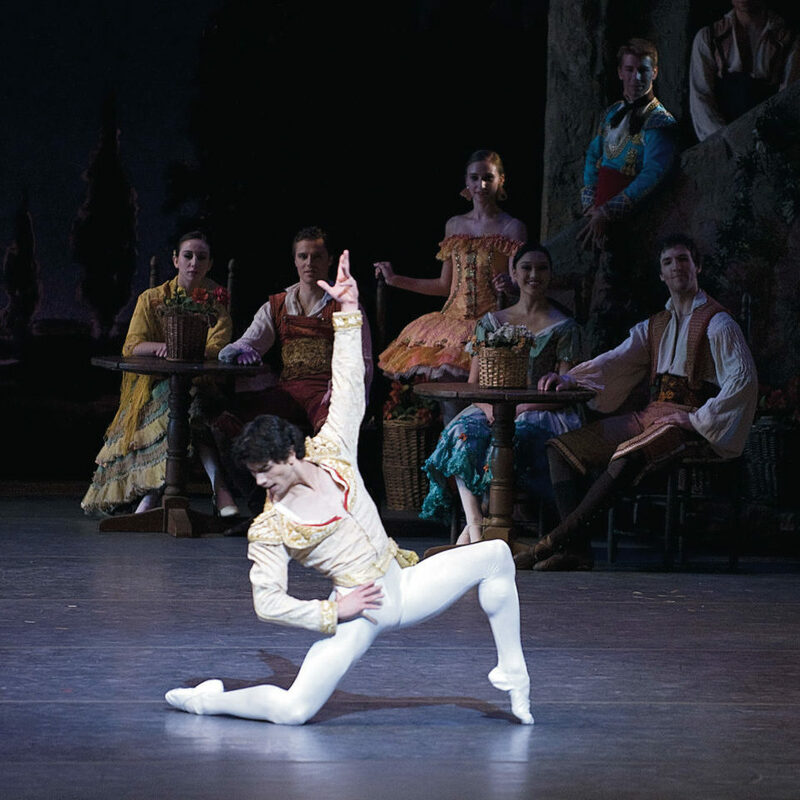 Herman Cornejo and Misty Copeland in La Fille mal Gardée.